The Moonriver is a ranch that can be planned with two bedrooms and a den, three bedrooms or two master suites. The Moonriver is a ranch that can be planned with two bedrooms and a den, three bedrooms or two master suites. 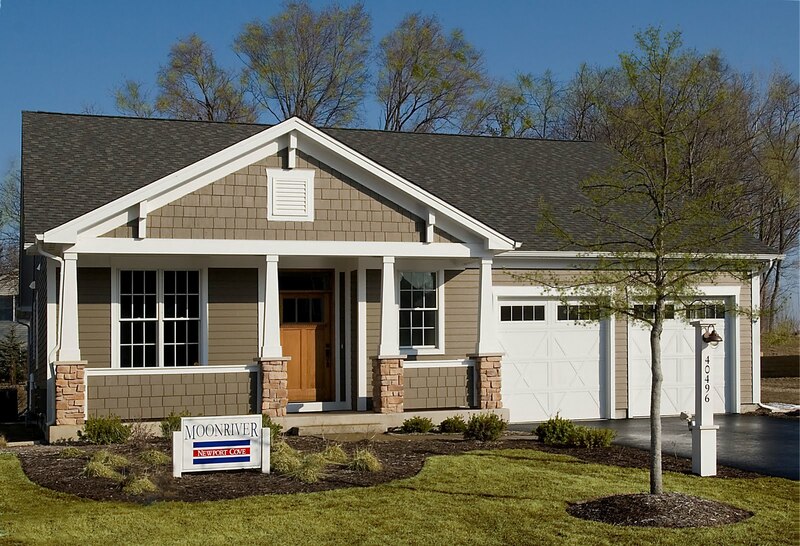 We have built this home with or without the sunroom, with the fireplace in the sunroom or in three different locations in the great room, and with a beautifully finished lower level that offered more bedrooms. 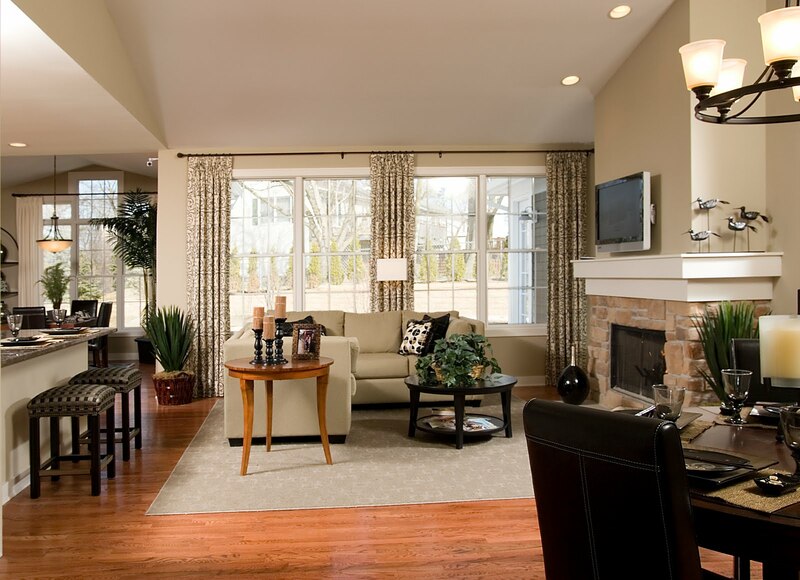 Large-living open floor plan with nine-foot walls and vaulted areas that offers many opportunities for customization. Solid oak flooring in the public spaces – foyer, kitchen, great room, dining areas and tech center. Energy-efficient construction with R-20 insulation in the walls and R-49 in the ceilings. Optional bedroom three or flex space. 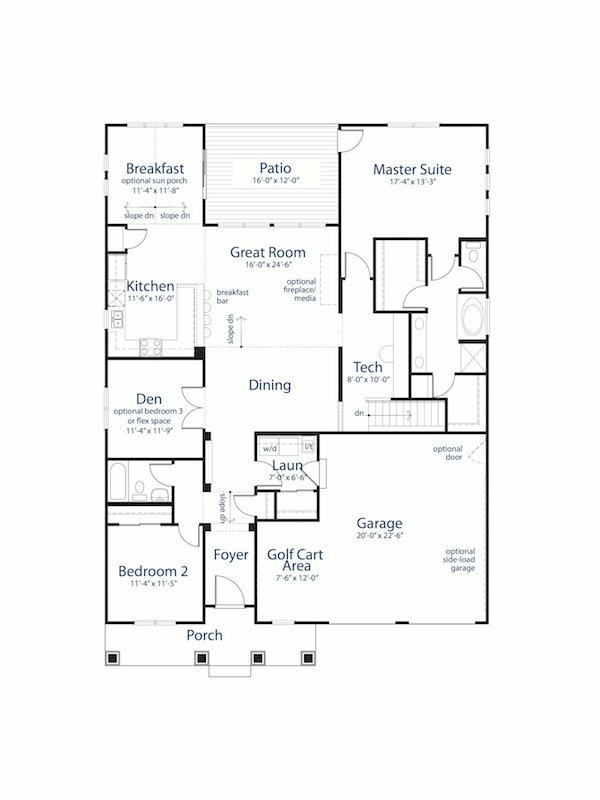 Download the complete Moonriver floorplan.